The Klon Centaur is a mythical pedal that sells for seriously high prices. Find out what all the hype is about, why there are so many clones, and how to build your own clone using a kit. Uni-vibe is a modulation effect that can completely change the feel and atmosphere of your playing. Find out what the best options are for a Uni-Vibe pedal and how to use one in this guide. 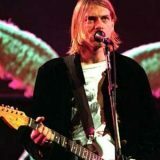 Find out what guitar pedals Kurt Cobain used in Nirvana. 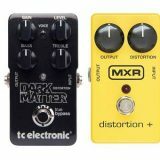 I go through each pedal to help you decide whether you want to get that pedal, or if an alternative pedal suits you better. A simple chorus pedal can do wonders to your clean tone, add some color to your solos, or give you something new to experiment with. Check out these top chorus pedals to find one that suits your needs. Check out some of the best guitar pedals in 2017 and whether they deserve a place on your pedalboard. Check out these songs to find different ways you can get the most out of your fuzz pedal. 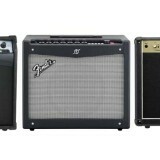 Some great examples of using fuzz distortion in different ways and styles. Find out what fuzz is, how it compares to distortion and what to look for in a fuzz pedal. Check out these recommended fuzz pedals to get started with fuzz. Check out the best tremolo pedals available today and get a feel for what tremolo can do for you. 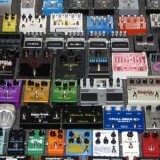 The best tremolo pedal is the one that suits your needs. Check out this guide to help you decide what you’re looking for. Ever wanted to learn how synths work and how to use one? Check out this app by EHX to get a feel for synths and even control it using your guitar. Phaser pedals are a fantastic way to add some life and energy to your tone. Check out some of the best phaser pedals available today to see which one would suit your pedalboard.